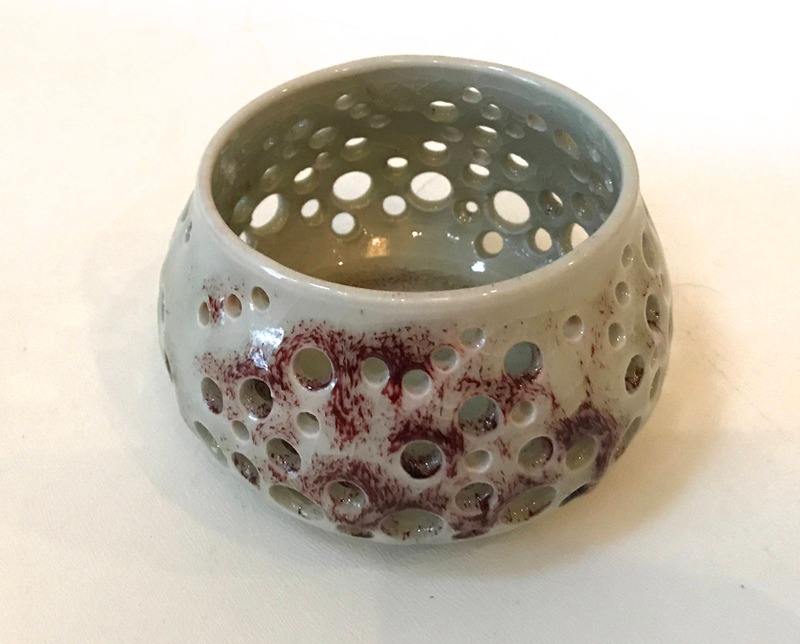 This candle holder is perfect for lighting up your dinner party or as a decorative piece for your table or shelf. It makes a wonderful gift! It can be used with a tea light or other small candle. Each holder is wheel-thrown. The holes are pierced by hand in a unique pattern that casts a beautiful shadow on the table when a candle is lit.